Did you know that there are three possible beneficiaries who await the distribution of your life’s accumulated assets – family and friends, the tax department and your favourite charities? 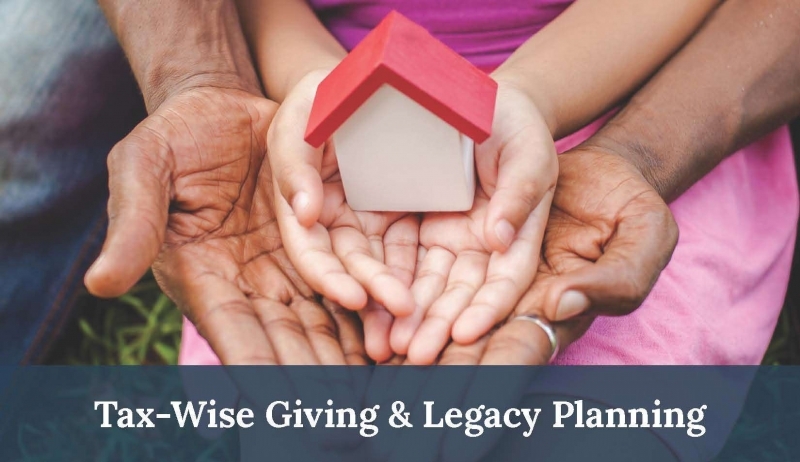 Through a partnership with the Niagara Community Foundation’s Legacy Partners Program, Bethlehem Housing and Support Services is introducing an educational series on Values-Based Estate Planning. This educational series is open to anyone who wishes to explore Tax-Wise Giving and Legacy Planning. In this session, we’ll explore strategies that allow you to pay less tax now and leave more to your family, friends and the causes you care about. This session will be presented by Ian M. Fraser, a Legacy Partner Program Facilitator. With 35 years of experience as a successful fundraising practitioner, Ian is personally committed to strengthening and advancing the practice of philanthropy across Canada, helping prospective donors make better, more tax-effective philanthropic gift decisions. Bethlehem’s commitment to provide stable affordable housing and services to support the personal growth of individuals and families continues to be a vital need in your community. Our hope is that after this information session, you will consider including Bethlehem Housing and Support Services or another charity that you support in your Will. Please join us on Wednesday, April 17th at St. Georges Anglican Church from 3:00 - 4:30 pm for this informative, inspiring presentation. St. Georges Anglican Church is located at 83 Church Street in St. Catharines. Parking is located off Raymond Street behind the church. Please park in the upper lot adjacent to the Perish Hall.